This is an original production background from the Warner Bros. Studios production of the 1941 Chuck Jones directed Warner Bros. short, Sniffles Bells the Cat. 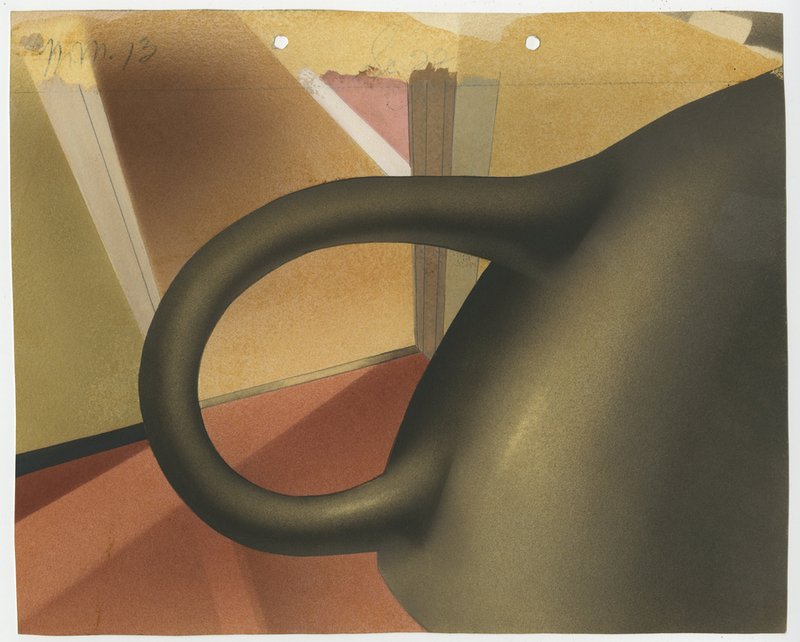 This background features an aerial view of a doorway from teh perspective of a cat on a shelf, and was created at the studio and used during the production of the 1940s WB short. 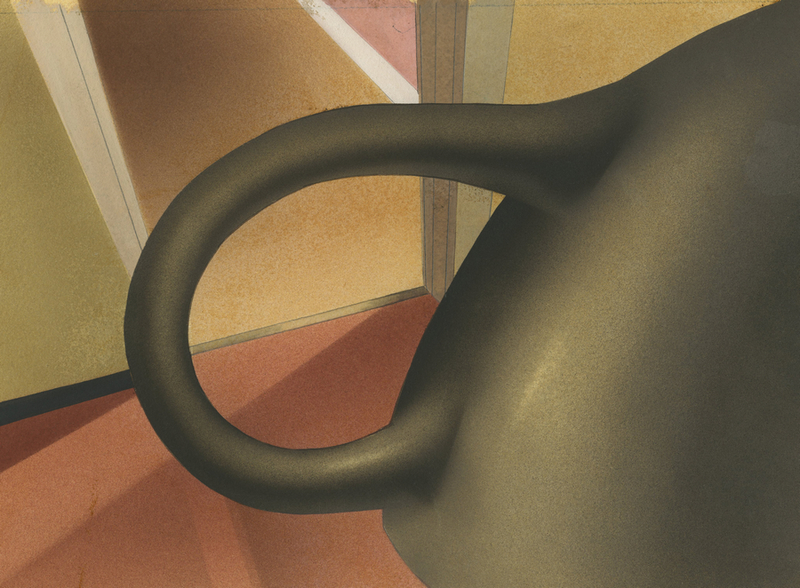 The overall measurements of the piece are 9.75" x 12.25" and the image itself measures 9.75" x 12.25". This fantastic background is in excellent condition and any art from this era of Warner Bros. is VERY hard to find.